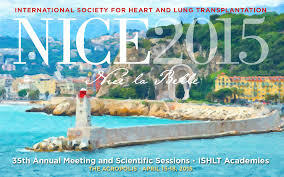 Houston, Texas-based startup company Procyrion, Inc. has presented pre-clinical data regarding a long-term circulatory support pump for patients who suffer from chronic heart failure, a transferal power lead to accompany its novel Aortix device, at the 2015 International Society for Heart and Lung Transplantation (ISHLT) 35th Annual Meeting & Scientific Session, which took place April 15 in Nice, France. The founder and chief medical officer of Procyrion, Reynolds M. Delgado III represented the company in Nice to discuss the possibility of using a long-term power lead for exiting the femoral artery, in order to empower an intravascular blood pump. Delgado and other investigators from the company revealed the methods of study implemented by Procyrion. The investigators from Procyrion examined the percutaneous deployment associated to the device during 30-day large observational animal studies and demonstrated that the patients had no bleeding complications, ambulated normally, and were free from infection, swelling or hemotoma, as announced by the company in a press release. The main purpose is to minimize the lead-time by focusing on cardiovascular risk and increasing functional understanding of the device. The Abstract Selection Committee of the ISHLT, which includes a group of scientists, infectious disease specialists, tissue engineers, and leading surgeons from different nationalities, evaluated and approved the presentation of the novel work. Being a multidisciplinary, professional organization, the International Society for Heart and Lung Transplantation focuses on improving healthcare for patients who suffer from advanced heart or lung conditions, by enhancing the outcomes of organ transplantation, mechanical support and innovative treatment through research, education and advocacy. Procyrion had already presented its catheter-deployed, intra-aortic circulatory assist pump for ambulatory use in treatment of chronic heart failure, the Aortix, at the American College of Cardiology’s 64th Annual Scientific Session and Expo (ACC.15) 2015 held in March at San Diego. The company was also now invited to attend the 2015 Gordon Research Conference (GRC) on Assisted Circulation, next June, in Lucca, Italy.